I am a graphic designer with over 5 years of experience. Strong creative concept thinking. Special ability to adapt to any working environment, both on my own initiative or in a team. Passionate and enthusiastic about high quality design. 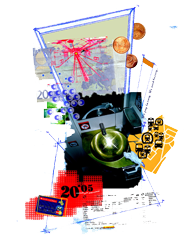 I worked as a Graphic designer at the entertainment company ISLA ProduccionesMadrid. Creator of the image of some TV programs which were aired on the main Spanish channels, Antena 3, Neox, Telecinco, La Siete and Boing. 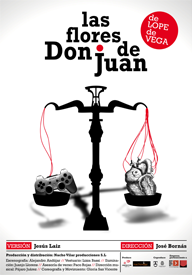 Design of the theatre poster for the play "Las flores de Don Juan" by Jesús Laiz premiered in 2013. I was a production linker for "Viva América Festival", celebrated at Casa de América, Madrid. Coordinator of the guests and speakers in the event and also the press and technical staff. I was a director assistant in Madrid Directo(a live daily program of 2 hours) at Telemadrid, Madrid. "PabloJorge Ilustraciones" an exhibition of illustrations at N del T Bar, Madrid. In collaboration with Patricia Abril, I produced and edited "Anne & Nick", a photographic series about two dolls in love shown during some months at three different exhibitions in Madrid & Toledo: Garcilaso Café, Pícaro Dinner-Theatre and Ojoloco Creative Lab. Software: Working perfectly in Mac & Windows OS. Full working knowledge of Adobe Creative Suite Software: Photoshop, Illustrator, InDesign, Acrobat Professional... Knowledge of Adobe Dreamweaver and video editing software like Adobe Premiere, Final Cut Pro and Avid media Composer. 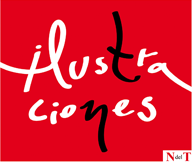 2011-2012: Master in Design and Web Development at CICE, High School of New Technologies of Madrid. 2008-2009: Master in DTP Design for Advertising at Trazos School, Madrid. 2008: Training of Motion Graphics for Broadcast Media at Agora Tres School, Madrid. 2007: Internship as director assistant in the live TV program Madrid Directo, Telemadrid channel, Madrid. 2006: Internship as a technical equipment operator at Castilla- La Mancha TV Channel, Toledo. 2004: Training in Professional Production of Video and Digital TV at CEV, the Video Training Center Madrid. 2002-2007: BA (Hons) Communication, Media and Journalism at Comuplutense University of Madrid.